One of my favorite things is beta reading. Picking a story apart, trying to figure out why it isn’t working, then how it can be fixed. Sometimes the problem is obvious, other times it’s more hidden. This story fell into the latter. I kept dozing, blanking out, my mind wandered at every turn. It was the middle of the day. I had plenty of coffee, so that wasn’t it. I couldn’t put my finger on it. The prose was clean, very clean. It disappeared into the page, never drawing attention to itself. I rarely tripped over it. The premise was novel, something I had never read, and the MC’s voice had moments of brilliance. But something was off. 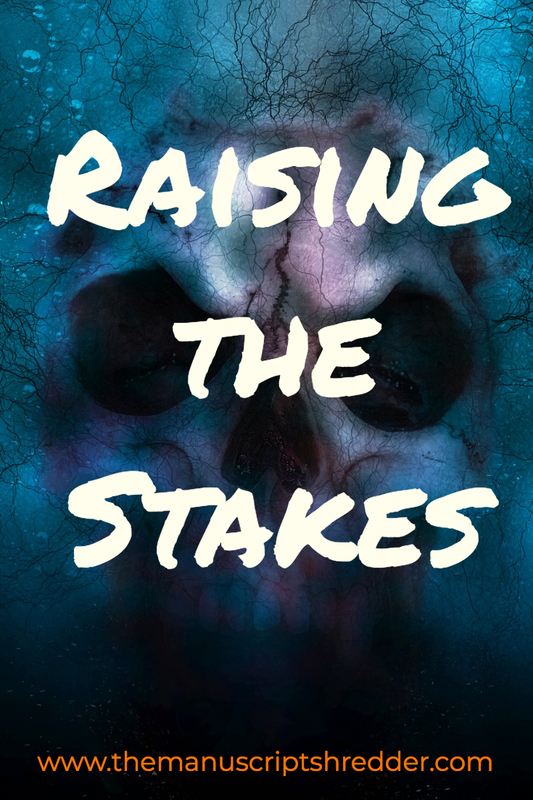 Raising the stakes is more than simply making things blow up. (sorry Hollywood.) But it should be “the end of the world.” That doesn’t mean the literal “end of the world” but the end of the MC’s world. This can come in many forms: the loss of love in a romance, the killer gets away in a mystery, the MC’s death in a thriller, or something quieter like the recovery from trauma in women’s fiction. If my MC fails, what are the consequences? Answer this question truthfully. If your YA heroine will suffer no more than a few days of embarrassment, then your stakes aren’t high enough. But what if it isn’t life/death? Here is where craft is important. Use characterization to make it feel like life and death. Add a few more layers. Ex. Your heroine has the solo in the class play. (meh) Grandmother (famous singer) comes to watch despite being estranged from the mother (better). Heroine sings the song her grandmother and mother sang on Broadway in effort to heal the rift between them. (Now it matters.) Sure it’s the plot for an ABC family movie, but it shows how something simple can become more meaningful through raising the stakes. If we love the character, we will want them to achieve their goal. Spend some time showing your reader how important it is to your MC, whether it’s a love interest, or winning the science fair, make us feel it. Anti-climactic outcomes are not only dull, they will also alienate your audience. Major stakes demand an equal amount of effort to resolve. The reader will feel betrayed when a huge amount of tension is built up and the solution is too easy. In another MS I critiqued the MC had been kidnapped and was rescued with little fanfare a few pages later. The lack of resistance turned what should have been a major plot point into nothing more than a minor annoyance. Make sure the buildup is in line with the payoff. Make the reader care about your MC’s problem. Balance the seriousness of the problem with the effort needed to solve it. 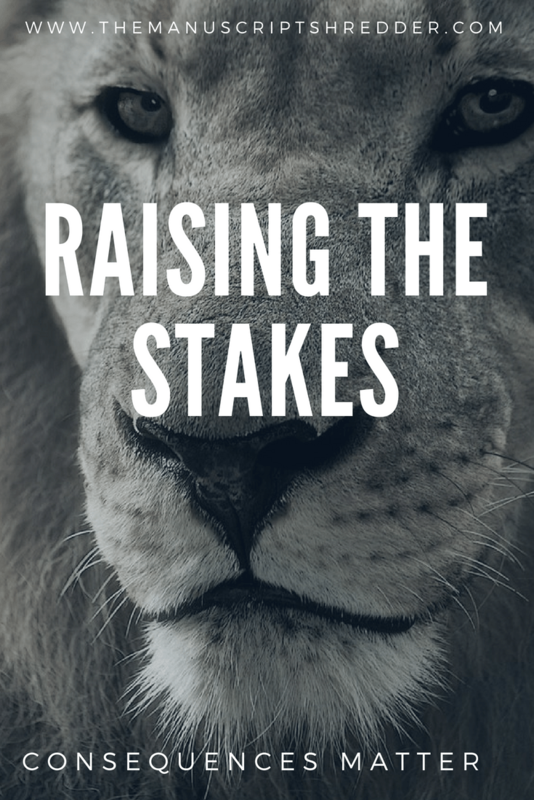 Building higher stakes is the foundation for engaging your readers. If your readers don’t feel your characters have real problems they won’t stick around to see how things end. I’ve been working on this right now in one of my outlines. I made a list of all the things the MC fears will happen, and then I find a way to make them happen or make them almost happen. For me, that’s worked well at raising the stakes throughout the story, not just for the big climatic ending. Overcoming fears is a good way to add complexity to the character arc too. Thanks for the tip!